Yelp Allows Us to Rank Restaurants and Doctors and Spas. Why Not Use it to Rank Elected Officials? Yelp is a wildly popular web service that allows customers to offer public reviews of the companies and professionals they patronize. Diners rate restaurants, patients rate their doctors, dentists, and health clinics, and shoppers rate their malls. But, at least so far, Yelp does not allow constituents to rate their politicians. That should change. We all need more feedback on those who represent, or seek to represent, us. Since Americans are, for the most part, in between campaigns, now is the perfect time to build out a website to provide the public with something almost unheard of—useful information about politicians. Modern campaigns are dominated by less-than-helpful advertisements. In the run-up to elections, our televisions and radios carry ads extolling the virtues, or warning of the vices, of our candidates. Our mailboxes, both real and virtual, brim with mailers explaining why we absolutely must not, under any circumstances, vote for a particular candidate. 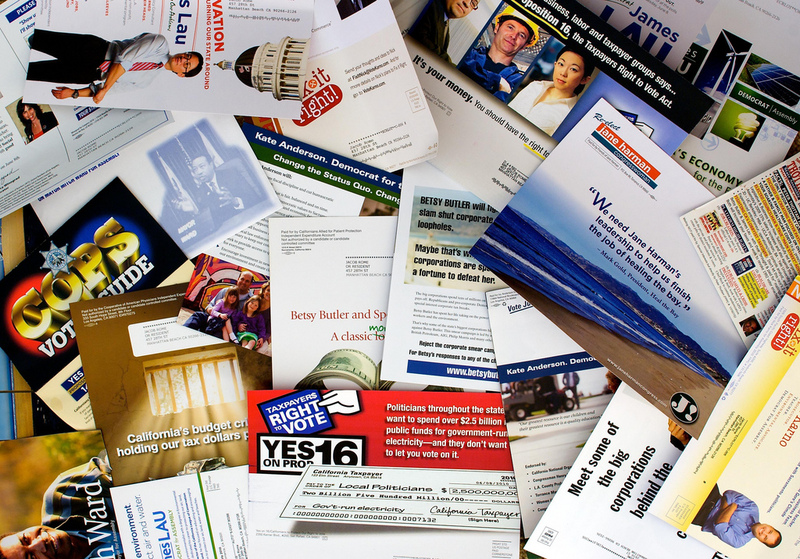 But very few of these campaign missives contain independent, factual information; campaigns, after all, aim primarily to get you to go to the polls, not to undertake a searching review of candidates. This lack of helpful, substantive information leaves an ill-informed electorate grasping for answers. What is the solution? Here is one suggestion. Let’s create a dynamic website that would allow us to review our politicians based on a number of objective factors. And unlike well-intentioned but snoozy websites (I’m looking at you, League of Women Voters) that provide constituents with information on politicians, let’s promote a robust comment and ranking system. There are many ways to review and rank politicians, and this site should cover them all. First, the site should describe every politician’s views on a broad but uniform set of issues, both domestic and international: immigration, taxes, education, foreign policy, the budget, and others. This would resemble the restaurant section on Yelp, which includes the hours, price, type of cuisine, requested attire and other items for all listed eateries. Whether you want a politician in favor of a path to citizenship and school vouchers—or an Indian restaurant that is good for kids and has outdoor seating —you’d be covered. Second, just as on Yelp, there would be a comment section. Did you receive mediocre service at the neighborhood Chinese restaurant? Did your city councilmember return your call or respond to your request to fix the potholes on your street? Now there is a place to share your experiences. But this raises a larger question: Do enough of us interact with our candidates and elected officials to be able to review them? Yelp is based, at least in part, on the premise that local businesses are accessible. Of the various filters to use when searching on Yelp, a popular one is price. When pricier restaurants, hotels, or businesses are out of reach for Yelp users, they can click on a single dollar sign to indicate they want to search for businesses on the lower end of the price range. In an ideal world, politicians are accessible to all of their constituents, or all of their would-be constituents. But, thanks in large part to the U.S. Supreme Court and less-than-gutsy legislators, today’s reality is that those who can pay—campaign donors and outside spenders—are the only people who have regular access to politicians. Too many of our politicians are akin to the four-dollar sign restaurants on Yelp: They are open only to a select few. Could we rate politicians according to cost, as we already do steakhouses? Yes, we could. I can think of a variety of “cost measures” for politicians. One might be based on campaign fundraising; politicians could be rated on how much money they raised and spent in campaigns. Or we could rate them on the median amount of the campaign donations they receive. Making such information available would raise questions about the accessibility of these more “expensive” politicians. How big of a donation does it usually take to get a meeting? Are there some politicians who score big contributions but who still make time for those who can’t or don’t provide monetary support? Are politicians who raise very small amounts from many people really accessible—or are they too busy fundraising? Yelp, via constituent comments and ratings, could answer such questions in ways that serve access-seeking constituents and the broader public. The service would also create an incentive for politicians to be accessible and responsive. We know that interest groups from the National Rifle Association to the Sierra Club rate politicians by their votes on certain issues as a means of getting more of the results they want. Why shouldn’t the rest of us get in on the game? Jessica Levinson is an associate clinical professor at Loyola Law School, Los Angeles, where she teaches Election Law, the Campaign Finance Seminar, and Money, Politics & the Supreme Court. She blogs at PoLawTics.lls.edu and tweets at @LevinsonJessica. *Photo courtesy of Jake Rome.